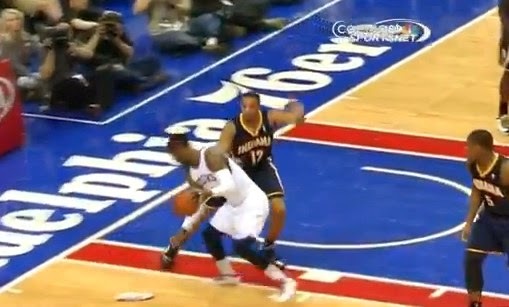 Tony Wroten of the Philadelphia 76ers was just doing his usual thing against the visiting Indiana Pacers, and then, all of a sudden, in the 4th Quarter of their game, his Jordan shoe lost its sole. The dreadful experience may be over, but the feeling won’t just go away overnight. Imagine going hard to the basket and then suffering a shoe sole separation. It’s like losing a tire while in a tight car race which is very dangerous. Good thing for him, according to Delaware News Journal, the legendary Michael Jordan of the Jordan Brand called his agent feeling sorry about what happened to Wroten’s Jordan 10 shoe. Wroten himself confirmed the news via DNJ. “It was more embarrassing than anything,” Wroten said Wednesday. “But things happen. I got an apology from Jordan. Yeah.… He called my agent,” admitted Wroten.